As things heat up in the summer months and we begin craving iced beverages, one of the easiest ways to brew tea and herbs is to cold brew overnight in the fridge. 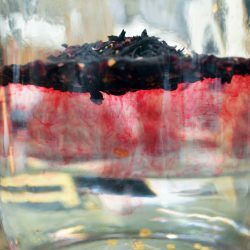 Recently we tried this method with three offerings from The Tao of Tea — Hibiscus Ginger, Golden Tips Assam, and Moroccan Mint. The results from an overnight steeping in cool water were full flavored, fresh and delicious — truly steeped to perfection. 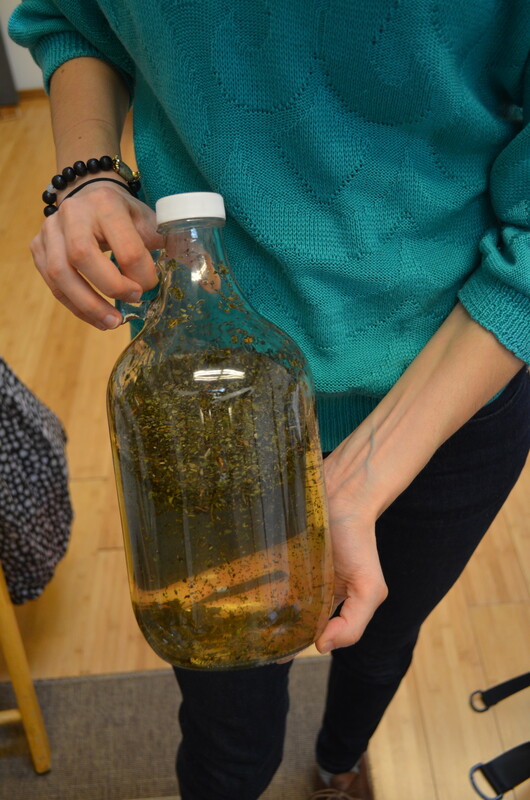 Below is a guide to cold brewing. All you need is a container for brewing, your desired tea, some water and a strainer. 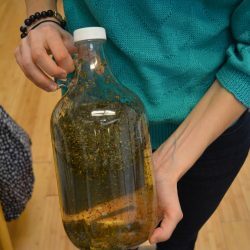 We used a half gallon jug of cool filtered water and half an ounce of tea/herb in our brew (in other words, 1 ounce of tea per gallon). You can play with the ratio, but we’ve found this to be a great starting place. 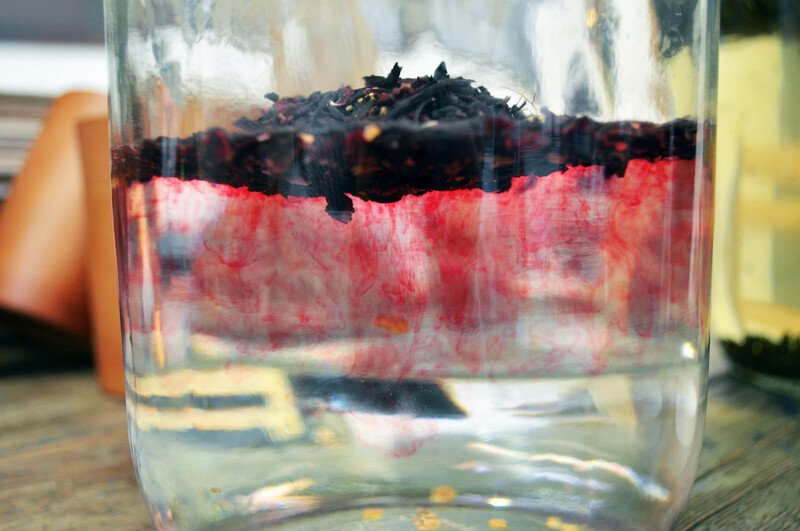 We chose Hibiscus Ginger because its tart-sweet flavor is ideal as an iced beverage. This is well-known throughout countries like Mexico, Honduras, Egypt and Cambodia. Few things are as refreshing as iced hibiscus. 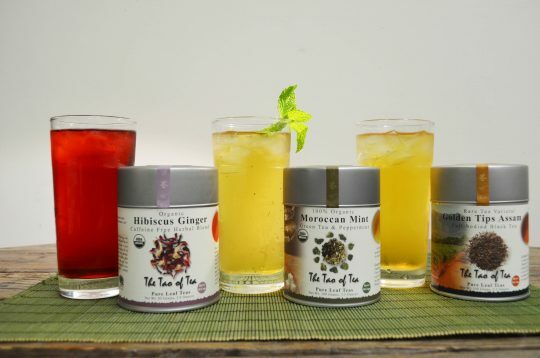 Similarly, Moroccan Mint (gunpowder green tea and peppermint) has a long tradition of being served iced in Morocco, Algeria, Libya and other countries across the Middle East and beyond. For those looking for a classic black iced tea, Golden Tips Assam is a favorite at The Tao of Tea because of its smooth, sweet flavor. Other full bodied black teas like Malty Assam and Gyan’s Favorite make great iced tea as well. Use a strainer to serve your tea. 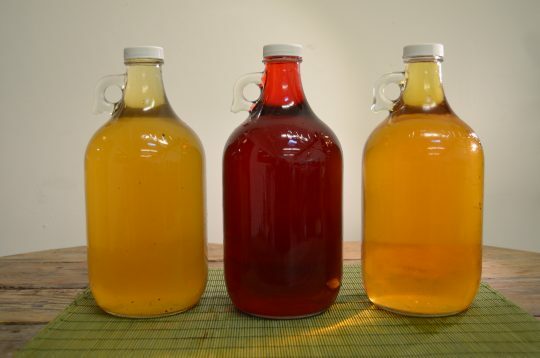 If you are not serving all of it in one day and are concerned about it over-brewing, you may consider transferring the the iced tea into another container. 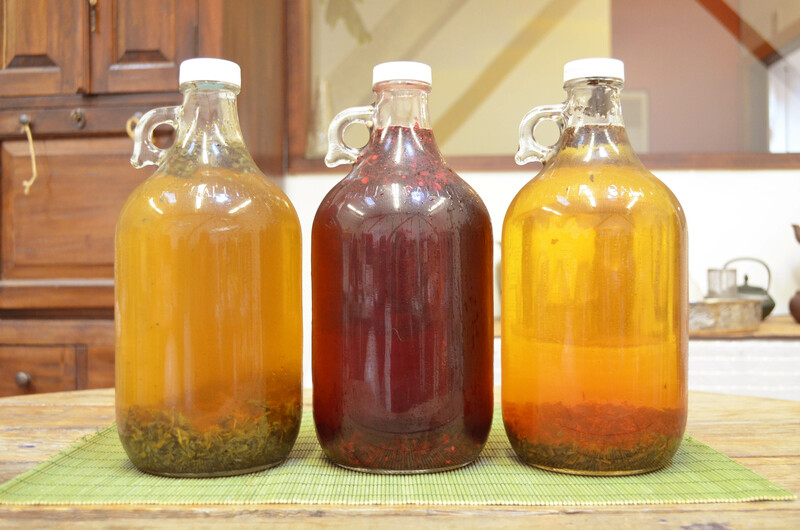 Over-brewing is less of a concern when steeping tea leaves in cold water, however, because cold water does not extract as many tannins from the tea leaves as hot water does. Therefore the brew will not become bitter or astringent. Pour your tea over ice, add a garnish like a sprig of mint, lemon or freshly grated ginger. Enjoy!